Planning Ahead notes are intended to identify important factors which may affect later stages of construction. 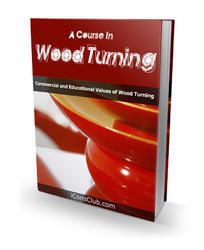 Options for dealing with these related aspects ol construction are also presented. It is recommended that you review all of the Planning Ahead notes during the design stage of the house. Resolving conflicts on paper is much easier than on site, and generally less expensive. Points like this identify key factors to consider when using Planning Ahead notes. Planning Ahead notes are cross referenced with Checking Back notes to ensure that critical aspects are appropriately resolved at every stage of construction. Checking Back notes are intended to flag aspects of earlier stages of construction which may affect a present stage of construction. They are conveniently referenced to Planning Ahead notes. In case a Planning Ahead note has been overlooked, Checking Back notes are helpful reminders of the need to resolve potential problems during the early stages of planning and design, prior to construction. -* Points like this identify items to review when Checking Back notes are encountered. Checking Back notes may also be used as a concise checklist when reviewing plans to avoid construction problems. Examples have been provided for sizing typical structural components of the house. 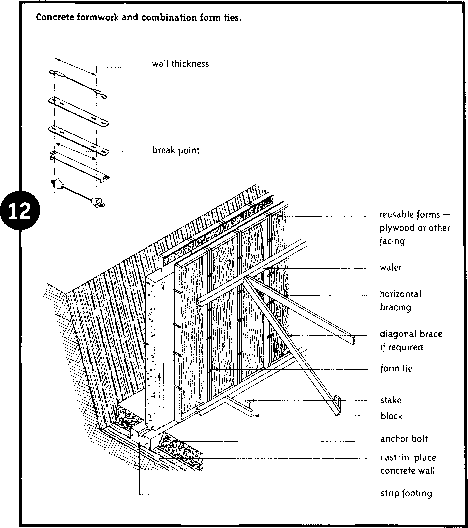 This edition of Canadian Wood-Frame House Construction contains imperial as well as metric units. The National Building Code of Canada uses metric units, and these govern when strict interpretations of Code requirements are required. However, imperial units of measure (feet and inches) dominate most of wood-frame house construc tion technology. For this reason, the imperial units are provided first in this publication, followed by the actual Code requirements in metric units. Every reasonable effort has been made to provide accurate conversions of metric dimensions to imperial equivalents; however, it remains the responsibility of designers and builders to comply with building code requirements in their jurisdictions. Note: Consult your local building department on the units of measurement required for house plans. Examples using the sizing tables found in the Appendix have been developed to assist users in their proper application. They may be found in the sections dealing with the actual framing of the house. When encountering situations not covered by any of the tables, it is f advisable to consult a structural designer. !